During your sixth week of pregnancy, your body and your baby's development are already going through many changes. Perhaps the biggest event of this week is that your baby's heart, which is still forming, will begin to beat at regular intervals for the first time. 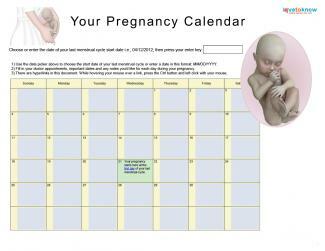 According to the National Institute of Health, your baby is developing very rapidly during this stage of your pregnancy. The embryo is about 1/8 inch in length and is vaguely C-shaped. It will continue growing rapidly, doubling in size every week, for the next few weeks. The grooves that will form into your baby's face and neck appear. Arm buds, which will eventually develop into limbs, form on the embryo's body. The embryo develops a tail, which it will lose later in your pregnancy. The neural tube, your baby's primitive spine, closes. Primitive ears and mouth appear. The baby has an early form of its liver, lungs, gallbladder, spleen, and pancreas. Although you cannot hear it yet, your baby's heart is beating and is visible via sonogram as a tiny, pulsating dot on the embryo's transparent body. You may begin to notice a few external changes to your body this week, according to WebMD. You may notice that your breasts are slightly larger or that you have feeling of "fullness" around your abdomen. Your clothes may be a little tighter, and your hips and legs may seem larger. You may have gained a few pounds as well. If you have not experienced early pregnancy symptoms before now, you probably will this week. You'll continue to feel fatigued and may be experiencing morning sickness. Morning sickness, or pregnancy-induced nausea, may strike any time of the day or night. You can combat morning sickness by staying hydrated and keeping crackers or some other bland foods handy for snacking. Be sure to contact your doctor if you notice anything that concerns you, especially severe cramping and bleeding, which can be a sign of miscarriage or ectopic pregnancy. If you haven't already spoken with your doctor or midwife, now is the time to do it. Your doctor may not need to see you right away, but it's important to check in to be sure. Good prenatal healthcare is essential for you and your baby. Pregnancy massage helps ease the tension in your body and will leave you more relaxed. Talk about what is bothering you. By identifying the source of your stress and talking it out with your spouse or a close friend, you can often put the problem in the proper perspective or come up with a reasonable alternative. Rest. When you sleep, your body has a chance to regenerate and will relieve the stress you are feeling. During these early weeks of pregnancy, your energy is low as your body adjusts to the hormonal and physical changes. This will make it harder to ward off stressful situations. Take a vacation from your stressful situation. For example, if your older children seem to demand more from you than you can give, leave them with your spouse or a family member for a day or afternoon and treat yourself to some quiet time. Educate yourself about pregnancy and the development of a growing fetus. Knowledge is an excellent weapon against your fears. 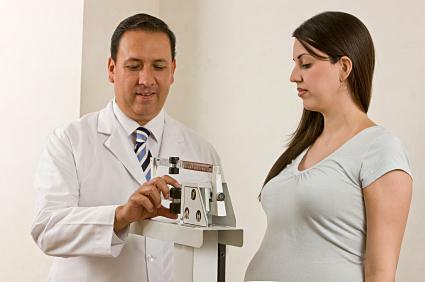 If you know what constitutes a healthy pregnancy and the warning signs of when you should seek immediate medical care, you will be less worried about the minor discomforts you may experience. Although you're still new to this pregnancy, there are plenty of things happening to your body and your baby during this important time. Since many women haven't spread the news about their pregnancy yet, week six can be a nice time to enjoy privately with your family. You'll have plenty of time to share your joy in the coming weeks.